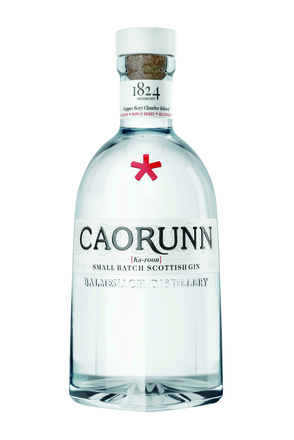 Caorunn is made slightly differently from other London style gins – it’s Scottish after all – but still qualifies as a London Gin. 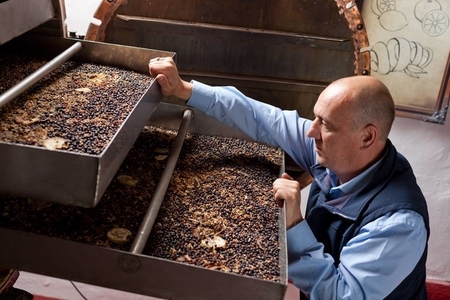 A vapour infusion method is used instead of steeping, but while some other gins are made by vapour infusion, no other uses a ‘Copper Berry Chamber'. 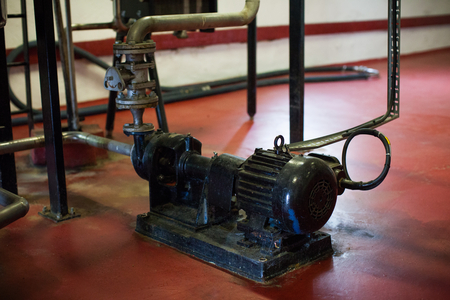 This piece of equipment was made in the 1920s, originally for the manufacture of perfumes. 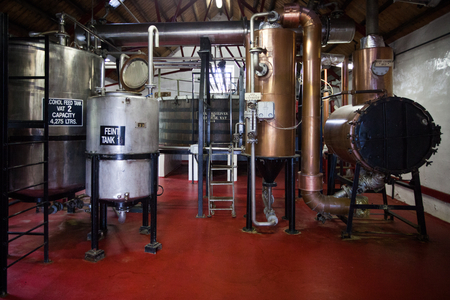 The chamber is round and contains four large trays on which the botanicals are spread. 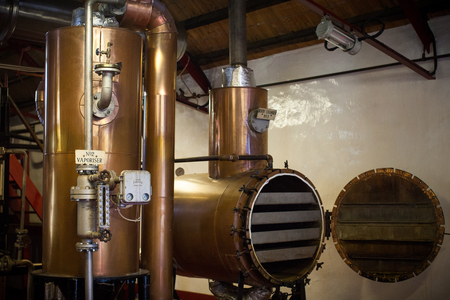 As the alcohol vapour slowly rises up through the perforated copper trays it picks up the flavours of the botanicals. 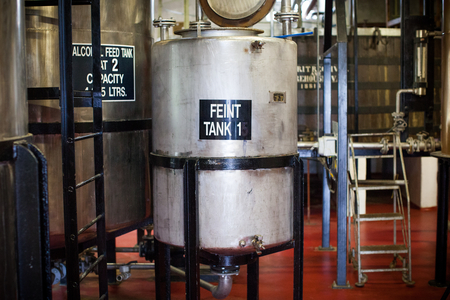 The berry chamber is made from thick copper with external stainless steel encasing insulation. 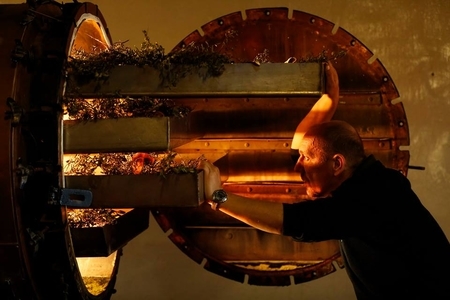 The internal diameter of the chamber is 91cm with a copper frame that holds the four drawer-like perforated horizontal stainless steel trays which present a large surface area of both botanicals and copper. 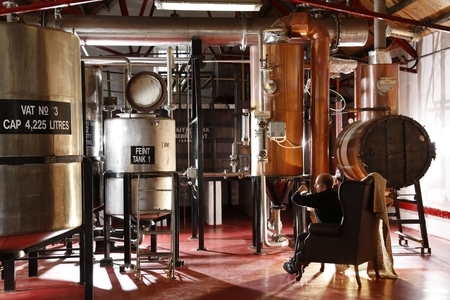 (A much larger surface area than is presented in either the small chambers modern stills incorporate into their lyne arm for vapour infusion, or even the basket atop a Carterhead still.) 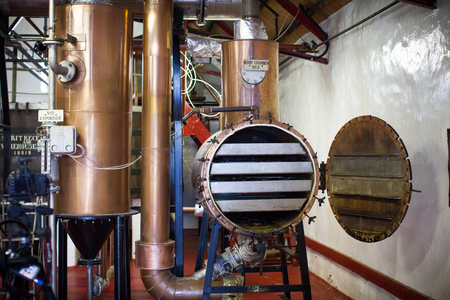 The copper construction of the chamber and trays helps remove sulphates from the spirit and some say softens the gin. Simon accurately weighs each of the 11 botanicals using a set of Avery scales and carefully spreads some of each botanical evenly over each of the four trays. Although he is understandably cagey about the proportions of each botanical used, he did tell us that each batch uses just under 20kg of botanicals. 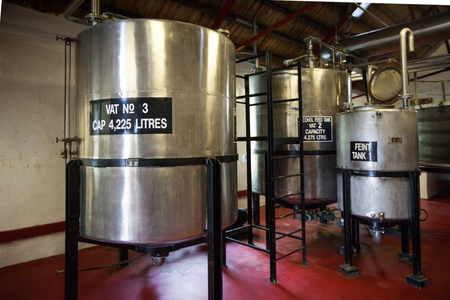 The alcohol runs from Vat No.2 into Vaporiser No.2 (nicknamed ‘Little Rocket’) where it is heated by a steam jacket to produce an alcohol vapour which is piped into the bottom of the berry chamber. Two diffusers ensure the vapours are evenly distributed and directed to rise up through the copper trays spread with botanicals. 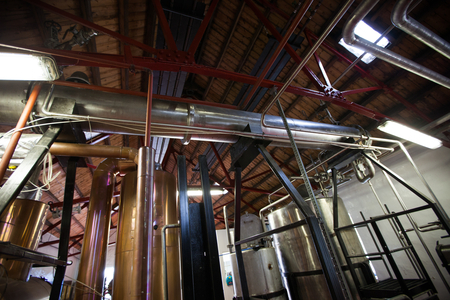 The now botanical infused vapour leaves the top of the chamber and is piped into the condenser where it cools and returns the alcohol to liquid. 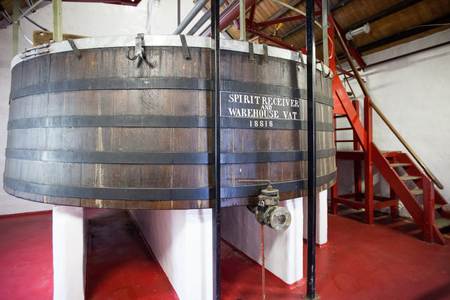 Now a spirit with the botanical flavours embedded into it, the spirit is collected in Vat No.1. 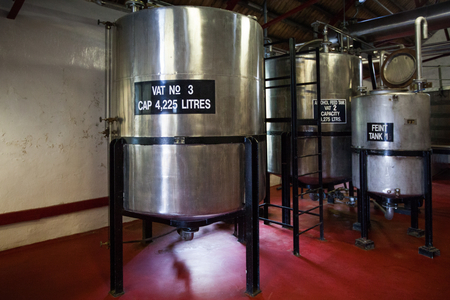 This process continues until the Vat No.2, the first vat which holds the base neutral spirit is empty. 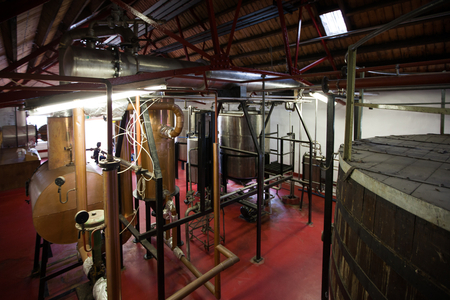 At this point Simon opens and closes valves to direct the now botanical flavoured spirit from Vat No.1 into Vaporiser No.2 and then back up through the botanicals as vapour a second time. 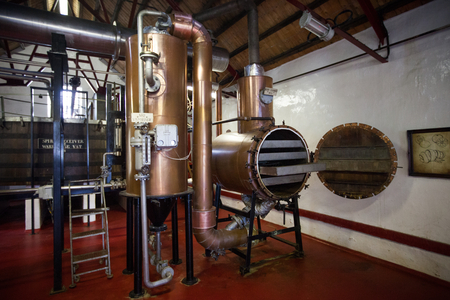 Now with more concentrated botanical flavours, the vapour passes through the condenser and this time into Vat No.3 as concentrated Caorunn Gin. 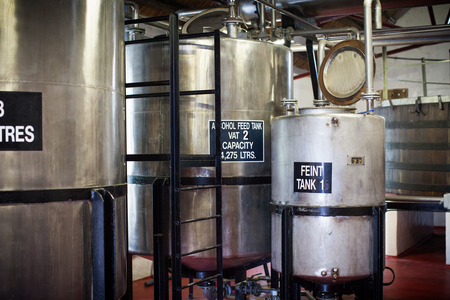 The whole process takes around four hours and the initial 1,000 litres of neural spirit yields around 945 litres of gin spirit which is reduced with purified Scottish water to a bottling strength of 41.8% alcohol by volume.